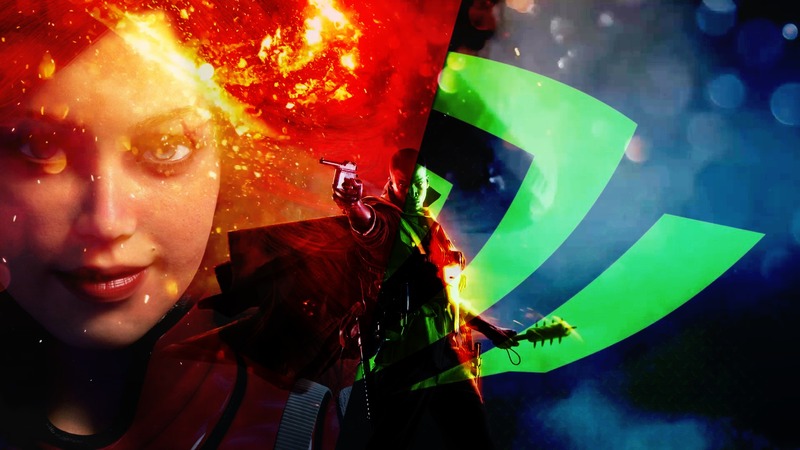 NVIDIA’s highly controversial and allegedly anti-competitive GeForce Partner Program is being met with significant opposition from the world’s largest PC makers, HP & Dell, Kyle Bennett reports. This news comes after a report earlier last month revealed that NVIDIA had been courting the biggest three names in the graphics card add-in-board market, Asus, MSI & Gigabyte to join the GPP. The program allegedly requires that partners align their gaming brands exclusively with NVIDIA, effectively pushing AMD out of the PC gaming market. Companies that choose not to sign up are allegedly denied “high-effort engineering engagements — early tech engagement — launch partner status — game bundling — sales rebate programs — social media and PR support — marketing reports “ in addition to priority GPU supply by NVIDIA, putting them at a crippling competitive disadvantage. Yesterday, Bennett published direct excerpts from documents relating to the program, underlying it’s anti-competitive and potentially illegal nature that would eventually limit consumer choice. Again, we should note that NVIDIA has publicly denied these allegations. Last month we covered the wide-spread backlash and uproar that had engulfed the tech-sphere after a growing body of evidence had accumulated indicating that Gigabyte, MSI and even Asus might have already singed on. Calls for a boycott of NVIDIA and its alleged GPP partners spread like wildfire all over tech forums, reddit and social media. Some have gone as far as to contact the Federal Trade Commission and the EU Commission calling for the program to be investigated for its alleged anti-consumer and anti-competitive aspects. Unfortunately all companies involved are keeping quiet about the GeForce Partner Program, the very same one that NVIDIA has ironically described as “transparent” and great for gamers. Despite these claims, the company continues to refuse to answer some of the most basic questions about the program, like which companies have signed up. The company has reportedly told Kyle Bennett, who has broken the story, that it has “moved on” from the story. Seemingly in hopes that by keeping quiet the story would go away. Today however, we can bring you some good news, in essence that HP and Dell have reportedly said no to the GPP. Citing legal and ethical concerns in off the record conversations. Bennett, also reports that Intel is very much aware of the GPP and the negative impact it will likely have on sales of its Kaby Lake G processor, which features a custom made Radeon GPU that AMD is producing specifically for the chip giant. Bennett goes on state that he expects Intel to initiate legal action against NVIDIA over the GeForce Partner Program. I have to say that I’m not overly surprised about neither of these developments. While Asus, Gigabyte and MSI are large, Intel, HP and Dell are simply giants in the industry and will not be pushed around. What ostensibly began as a move to consolidate more power in a market that NVIDIA already had commanded, appears to be backfiring. We’re already seeing the effects and ripples this has had on the company’s image among PC gamers. In a recent poll we ran, 82% of you said you would boycott the company and its GPP partners over what is now developing into an all out scandal. More outspoken individuals have even proceeded to contact the FTC and EU Commission to file legal complaints. Will you join the boycott? Yes, I will boycott NVIDIA and/or its GPP Partners. No, I will not boycott NVIDIA or its GPP Partners. PC gamers have picked the PC as their platform of choice because of the incredible freedom that it offers. Begin to chip away at what has made this platform so great and what this passionate community has cherished for decades and you will awaken a sleeping giant. The GPP could very well prove to be a grave mistake for the company and a very costly lesson.